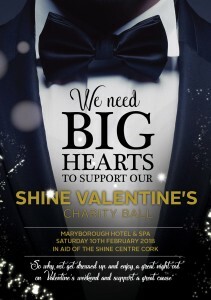 The ninth annual Shine Fundraising Ball will take place at the Maryborough Hotel & Spa on Valentines Night , Saturday 14th of February 2015. 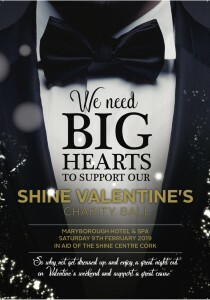 Why not celebrate Valentines night in the beautiful surroundings of the Maryborough Hotel, enjoy a great night out with entertainment and special guests and support the work of the Shine Centre at this great event. 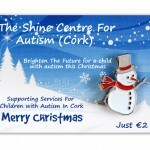 The Shine Centre have been involved in the autism programme in UCC since its inception with Laura Crowley of the Shine Building Blocks Programme lecturing on the course and sitting on the Stakeholders and Quality Review committee. The Football For All programme gives kids with Special Needs the opportunity to get regular football training and competition. 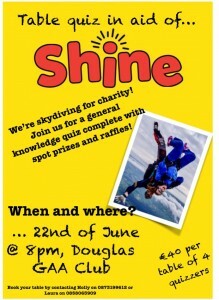 The training they receive is delivered by qualified coaches. As well as regular training, children in Football for All clubs get the chance to play for their local club in regular Blitz’s against other Football for All clubs. The team train every Saturday morning from 10:15 to 11:15 and participate in regular tournaments. 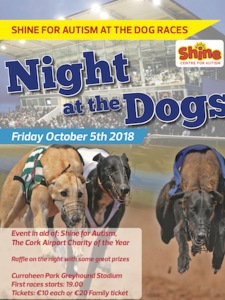 Last year the team played in a national tournament in Dublin, the Munster FA blitz in Mallow and local events in Killarney, Midleton, Limerick and Skibbereen. These kids would not get the opportunity to play for mainstream teams and it allows them to keep fit, develop and understand teamwork and more importantly develop social skills. 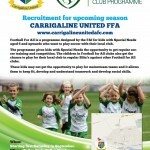 We had had a recruitment drive recently and have increased to over 30 kids each Saturday morning. 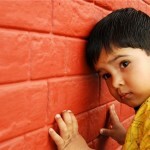 The majority of our kids are on the spectrum. 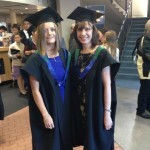 All the coaches are parents of kids with special needs so they have a great understanding of the needs of the children. 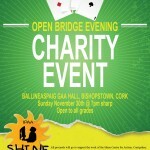 A charity bridge event is happening on the 30th of November in Ballineaspaig GAA hall, Bishopstown.